Presenting a collaborative effort from Novomatic sister companies Bell-Fruit and Astra Games, RLMS Sales has launched a new 27-game compendium Cat B3, Hot Slotto 500. RLMS Sales has launched a brand new Cat B3 title this week hosting one of the biggest and brightest palette of games currently available in the market. 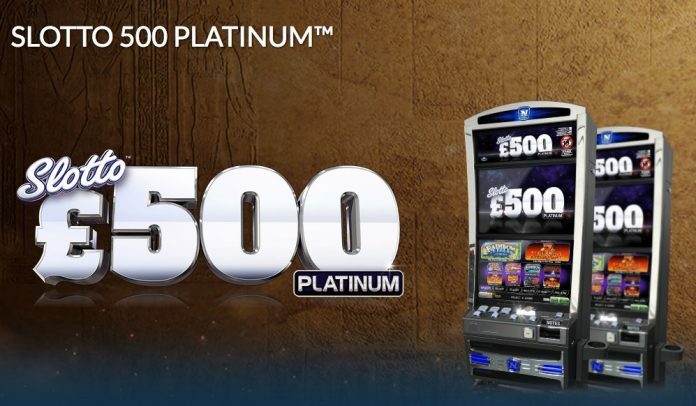 Hailing from Astra Games, a leading innovator in game design and manufacturing, Hot Slotto 500 comprises a 27-strong compendium of titles that span the complete spectrum of gaming experiences including casino, action, free spins, Roulette and pots. A vital element of this compendium is the addition of three brand new offerings. They include a collaborative effort with Novomatic UK sister company Bell-Fruit Games in the form of Up Spinner which represents an interesting change of direction in terms of game style and play appeal. It’s joined by Reel King Action and Rise of the Reels which offer a multiplier gamble that allows players to gamble up to 10 times their win. The compendium also sees the inclusion of Action Games on Rise of the Reels, Reel King Action and Wild Action which bring a further four sets of reels into play dependent on available funds. Meanwhile, players seeking out their established favourites won’t be left disappointed thanks to a raft of proven performers that include Lucky Lady’s Charm, Party Games Slotto, Reel King Potty, Aloha Honey, Sticky Reel King and Dolphins Pearl. Hot Slotto 500 is presented in the iconic FV600 cabinet and is written on Firefox technology. For player convenience it comes fitted as standard with an NV11 note recycler and is fully TITO compatible. Players can also take advantage of multi-stake options of 20p/25p/50p/£1/£2 depending on which game they choose to play.